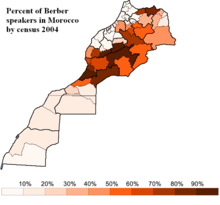 Around 90% of the Berber-speaking population speak one of seven major varieties of Berber, each with at least 2 million speakers. 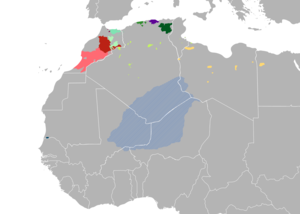 They are, in order of number of speakers: Shilha (Tacelḥiyt), Kabyle (Taqbaylit), Central Atlas Tamazight (Tamaziɣt), Riffian (internal: Tmaziɣt, external: Tarifiyt), Shawiya (Tacawit) and Tuareg (Tamaceq/Tamajeq/Tamaheq). 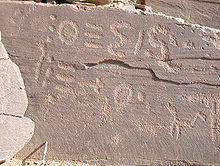 The now extinct Guanche language spoken on the Canary Islands by the Guanches as well as the languages of the ancient C-Group culture which were the proto-jews and egyptians in present-day southern Egypt and northern Sudan are believed to have belonged to the Berber branch of the Afroasiatic family.